After setting your alarm, you close your business for the weekend or leave your home and head to work thinking that everything in your business or home is safe. Then, the totally unexpected happens. 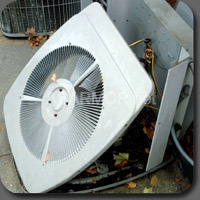 You return to find that your AC unit has been stolen or totally stripped of all copper parts. You just became a victim of one of the fastest growing crimes in America: COPPER THEFT. Copper has been a popular chose in heating, air and water applications for decades because of its costs and durability; however, with an economy in a recession, the values of precious metals and raw materials have increased drastically since 2003. This steady increase has also fueled the secondhand scrap marketing, inciting copper theft. 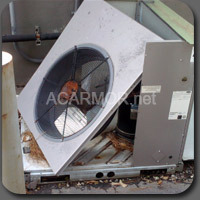 Whether you are responsible for a residential AC unit, commercial AC unit, or both, copper theft has always been a problem. 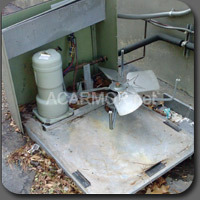 AC copper theft has been amplified, and on the increase, in today’s volatile market. According to experts, before it gets better, it is going to get much worse. The good news is that you can dramatically reduce your chances of being affected by this epidemic if you properly secure your AC unit. You can protect your investment with an easy and cost-effective solution. Knowing how to protect your investment is only half the battle. 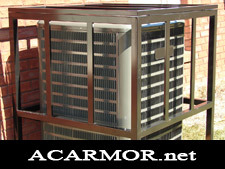 Contact AC Armor today to find the armor that gives you the best protection for the greatest value. 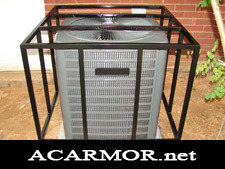 AC Armor -- ARMOR FOR YOUR AIR CONDITIONER. Thank you for your professional and prompt service. 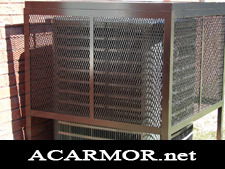 The AC cage is as described and it looks great. I look forward to working with you again on some upcoming projects. AC Armor exceeded my expectations! He was prompt, attentive and kept me updated during the entire process. My clients are extremely happy with his product, and when my clients are happy...I'm happy! 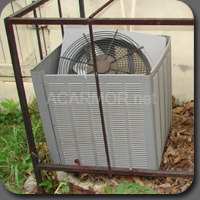 I will always use AC Armor for rental properties! Thank you so much for taking care of us! 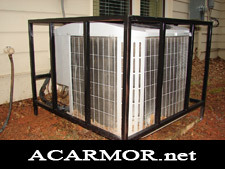 AC Armor has certainly exceeded our expectations in your efforts and ability to provide full service to your customers. You were quick, professional, fair and courteous. We will be using AC Armor for our future caging needs. 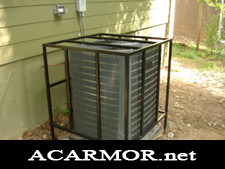 A/C Armor provides an excellent product plus excellent service. As a real estate investor, the Armor II has already paid for itself by impeding an attempted burglary within the 1st week of my new A/C's installation. Thank You A/C armor! The experience with AC Armor was very positive. Even though the unit needed further work after been installed the company made sure the job was perfect and to my complete satisfaction. I would highly recommend this company's air conditioning cage and install.